It turns out that in some cases, charter flights are actually an affordable alternative to commercial flights. Passengers can travel without the hassles that come along with flying commercial. When you go flying do you feel seriously hassled just by trying to get to your plane? Then once on board to you feel like your treated like cattle, instead of a human being? "Just the waiting. I'm not a good waiter," according to Amy Wilson, a Fresno Resident. Well, there is an alternative to all that. As commercial flying becomes more and more complicated, some passengers are turning to chartering their own flights, to avoid airport hassles, and some of these flying are surprisingly affordable. "I do know some people that have jets. They just show up, get on the plane and go where they want to go," says Dave Wilson, a Fresno resident. Jet charter flights, but are they affordable? 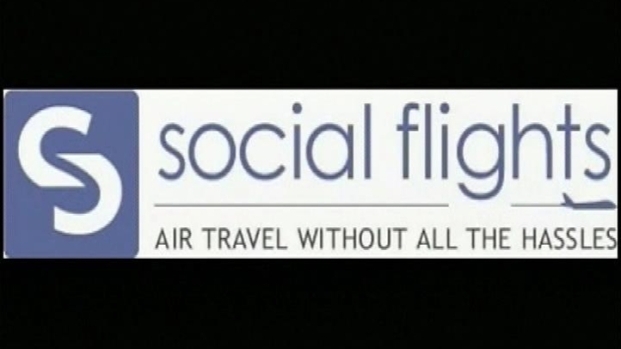 "Social Flights" says on their website that they use social technology in a whole new way to allow like-minded travelers to find each other efficiently and effectively. Then they gives those travelers the means to share and coordinate their travel plans, according to their website, and to secure private aircraft for their trips. By allowing these travelers to use collective buying power to purchase their own charter flights, the travelers are able to complete their trips with less frustration, more convenience, more comfort. And the best part, when people band together, trip costs are comparable to what they would have paid had they used scheduled airline service. There are flight for as little at 150-dollars. But most flights are comparable to flying business or first class. "It sounds comfortable, doesn't it, and I suppose as the years go on, traveling by air hasn't been comfortable. It's been more economical, but not much fun," according Paul Field, an airline Passenger.